MARNA O’BRIEN PARK – located at 20505 Palomar Street, this is the largest of the City parks with a size of 9 acres and is often the site of many of the City’s special events. The park facilities consist of three baseball fields with spectator and player benches, two full basketball courts, two large multi-use soccer fields along with sports field lighting, a tot-lot, three picnic shelters, a concrete walkway surrounds the park, parking lot, permanent restrooms and a concession stand which is used for special events. MARNA O’BRIEN PARK – located at 20505 Palomar Street, Wildomar, CA. 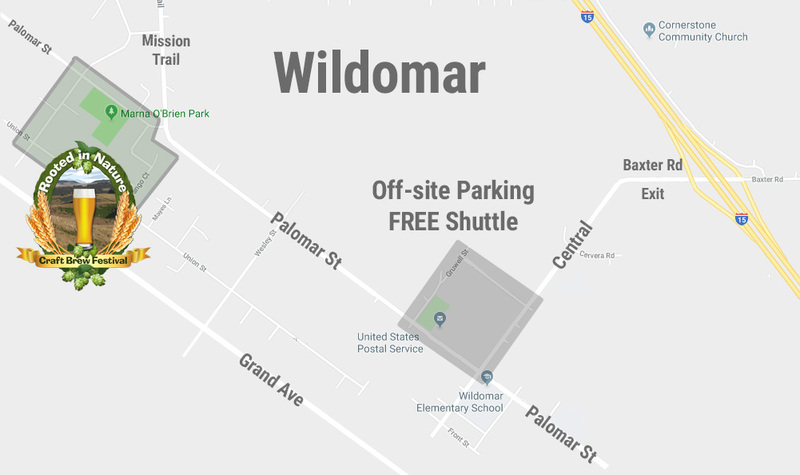 Parking is off-site at the corner of Palomar and Central in Wildomar with free shuttles throughout the day and evening. Simply exit I-215 at Baxter Rd. and go 3 blocks south (becomes Central) to the corner of Palomar and Central.